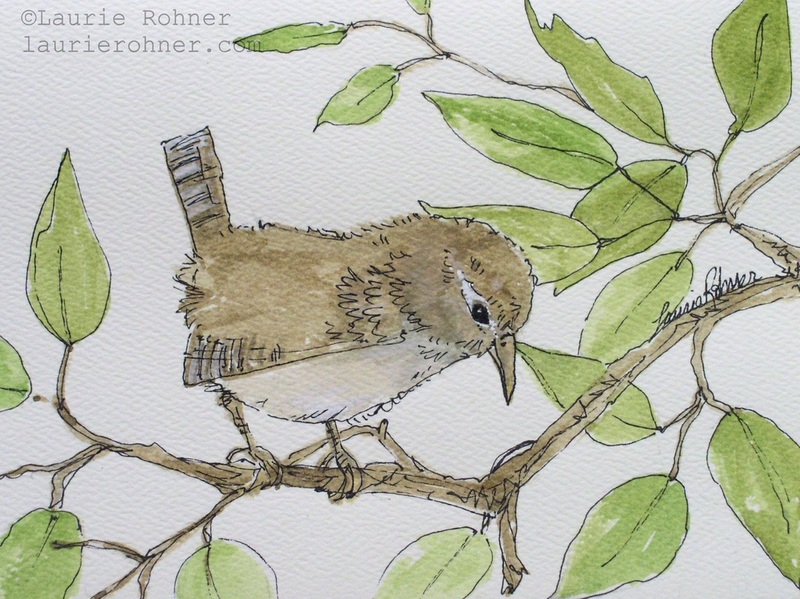 Watercolor bird illustration a wren on a limb sitting in a tree is a one of a kind original painting painted by hand nature art at Laurie Rohner Studio. 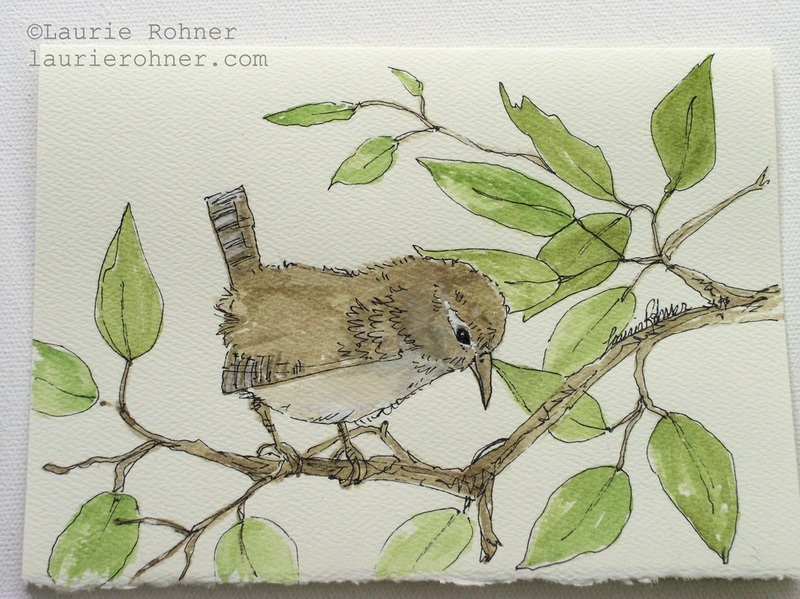 Whimsical bird art for all nature lovers. 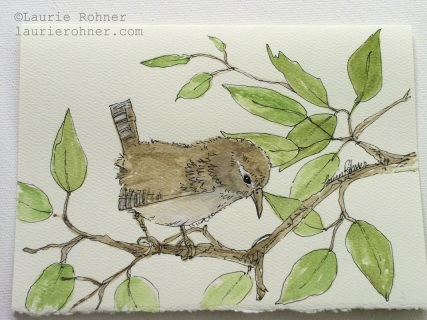 Give it to say thank you or send it to someone who needs a little love. 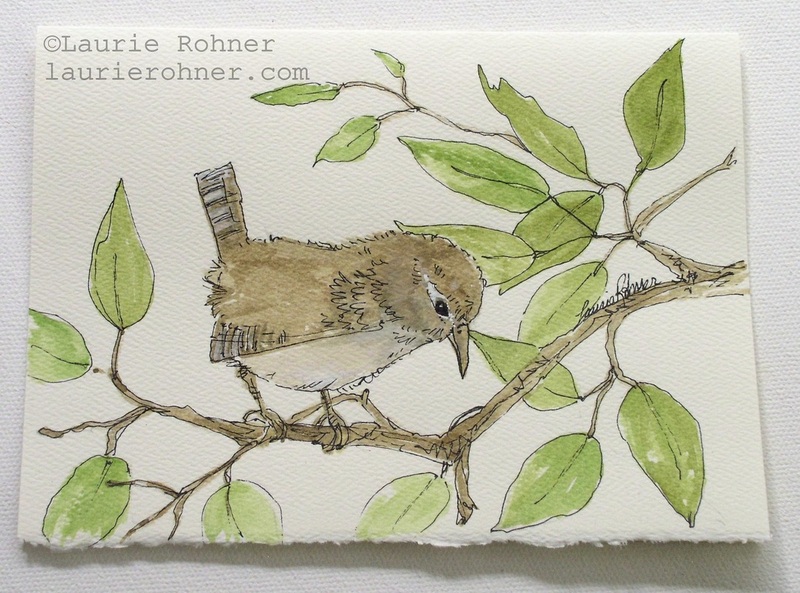 Wrens are a favorite of mine and I love to paint them on my art, gives a bit of whimsical fun.